Vancouver, BC – March 27, 2018: Bonterra Resources Inc. (TSX-V: BTR, OTCQX: BONXF, FSE: 9BR1) (the “Company” or “Bonterra”) is pleased to announce both the appointment of Mr. Peter A. Ball as Vice President of Operations and an update of the ongoing Winter Drill Program and metallurgical studies. “I am pleased to have Peter formally join the Bonterra team, as he has been a Board Advisor since 2015. Originally from Kirkland Lake, Ontario, and a fifth generation mining professional, he brings extensive knowledge of the mining sector stretching back to the 1980s, where he commenced his career working as a mining engineer. Peter has held senior level executive positions with multiple precious and base metals companies, including recently the CEO of a North American gold exploration company. Peter will be a valued addition to the Bonterra senior management team as Vice President Operations as we push forward with our metallurgical studies and resource update,”stated Nav Dhaliwal, President and CEO of the Company. 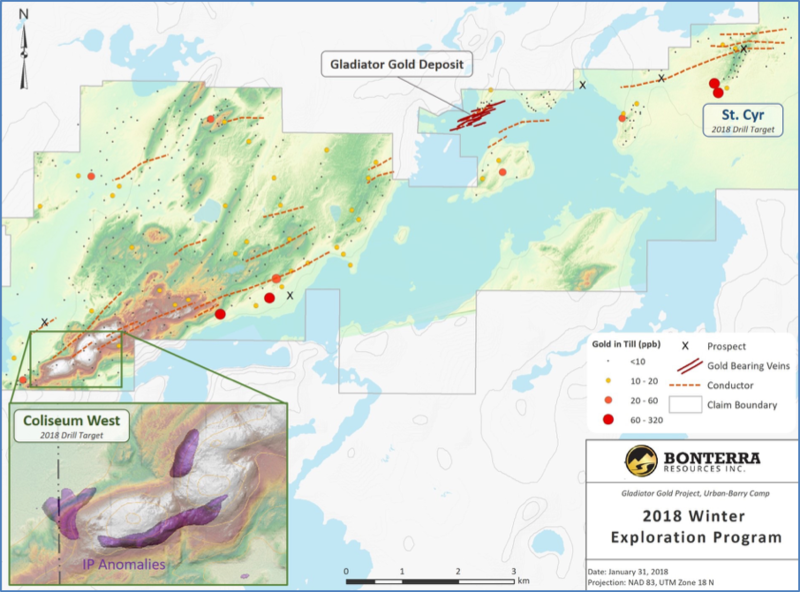 The ongoing drilling campaign, totaling 70,000 meters in 2018, includes infill and definition drilling at the Gladiator Gold Deposit. 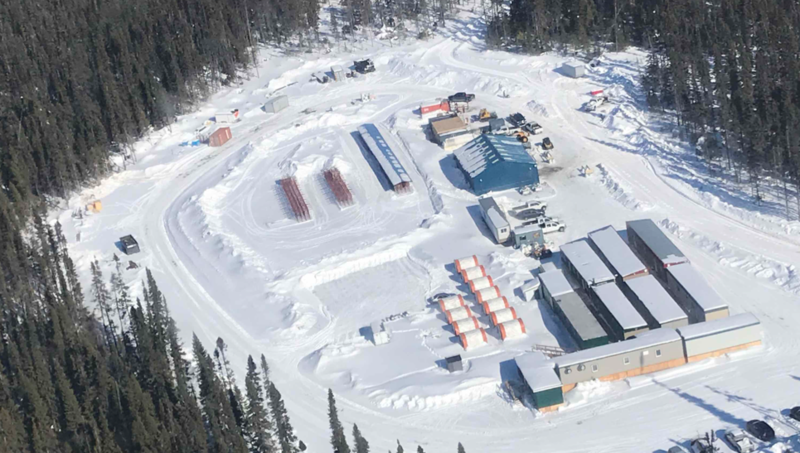 The Winter Drill Program is comprised of five (5) drill rigs completing ~25,000 meters on the Gladiator Gold deposit and is focused on definition drilling at a 50-meter drill hole spacing for the updated resource estimate in the second half of 2018. In addition, two (2) drill rigs, completing ~5,000 meters, have been deployed on regional exploration targets to the southwest (Coliseum Zone) and to the northeast (St. Cyr Zone).